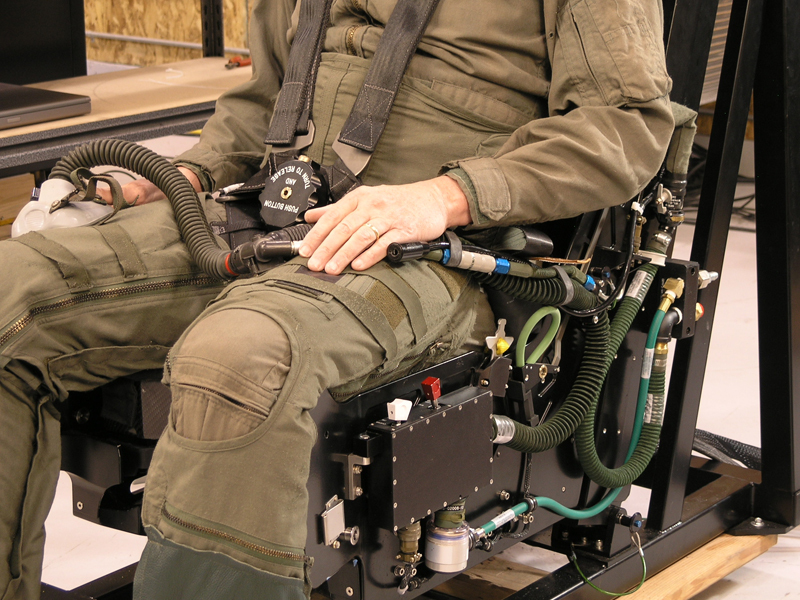 The M346 trainer aircraft uses the Martin-Baker Mk16 ejection seat for the pilot and the instructor pilot. 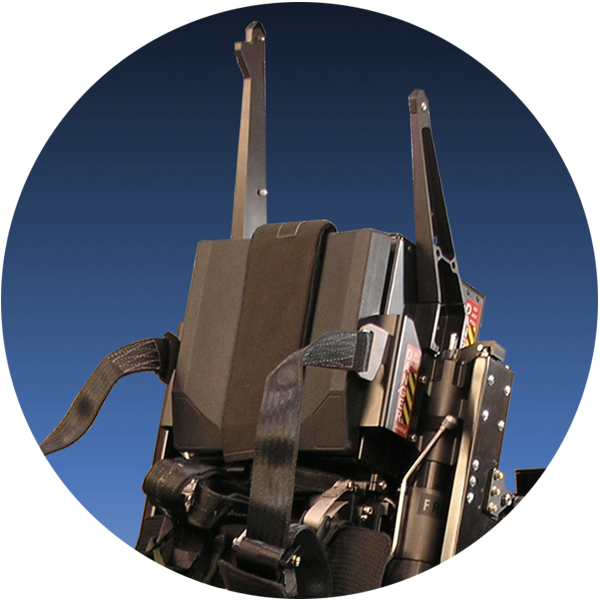 The Mk16 is a cutting-edge ejection seat with advanced features for crew comfort, and safe, controlled, instantaneous ejection. 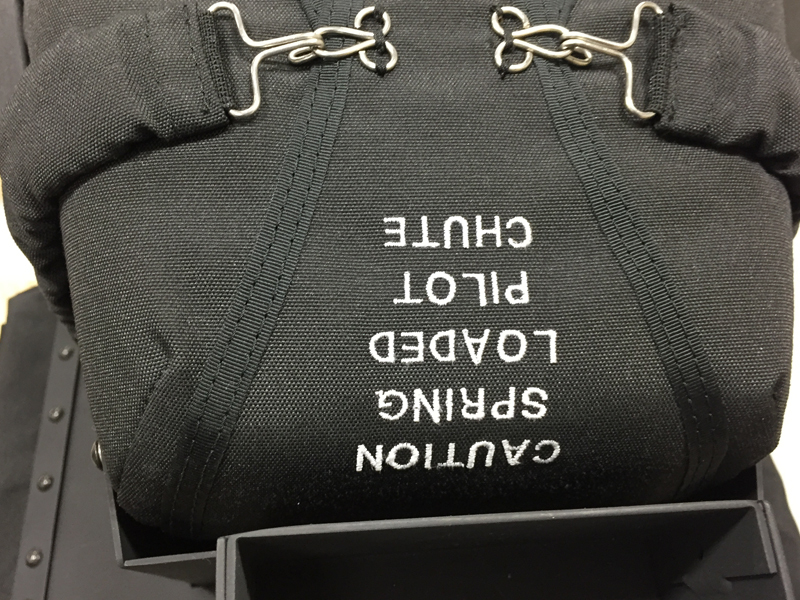 ACME’s DMS mirrors details of the Mk16 seats. 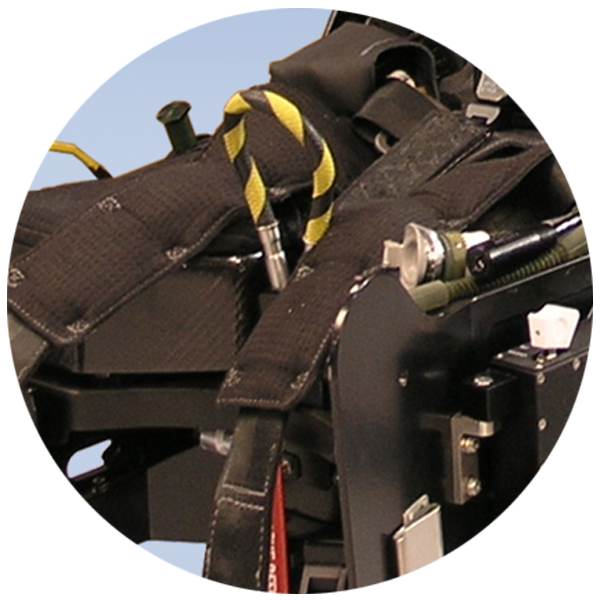 We use Martin-Baker engineering data under license agreement to ensure the details are precise. 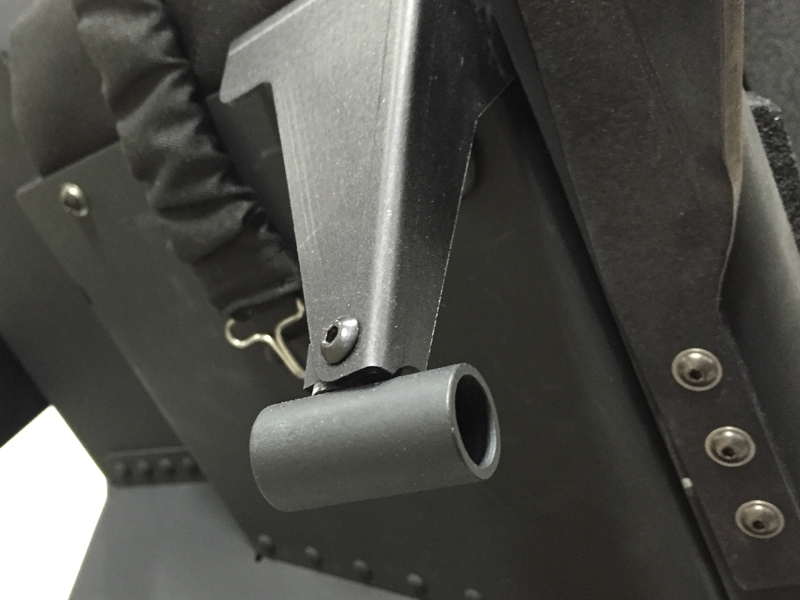 Every item the pilot touches on the replica seat is exacting. The controls, cushions, belts, harnesses, buckles, switches, levers, pins, and crew connections all look, feel, and function just like the real thing. 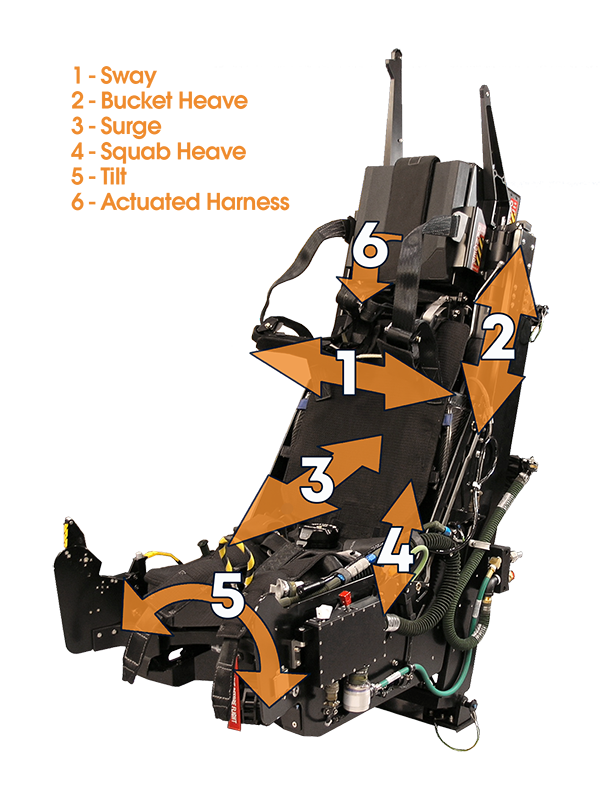 The seat’s shape, size, form, colors, textures…it’s all like the Martin-Baker ejection seat. 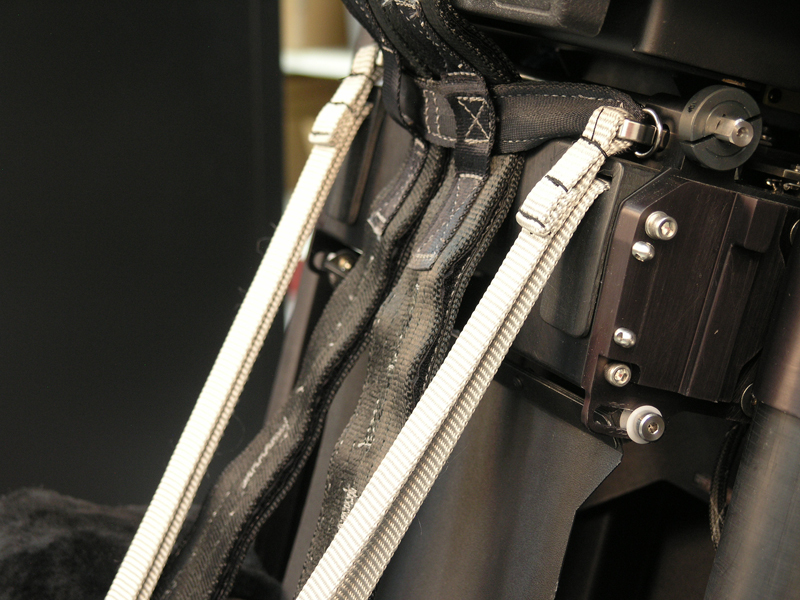 And inside is the complete multi-channel motion system providing realistic 6-DoF motion cues. 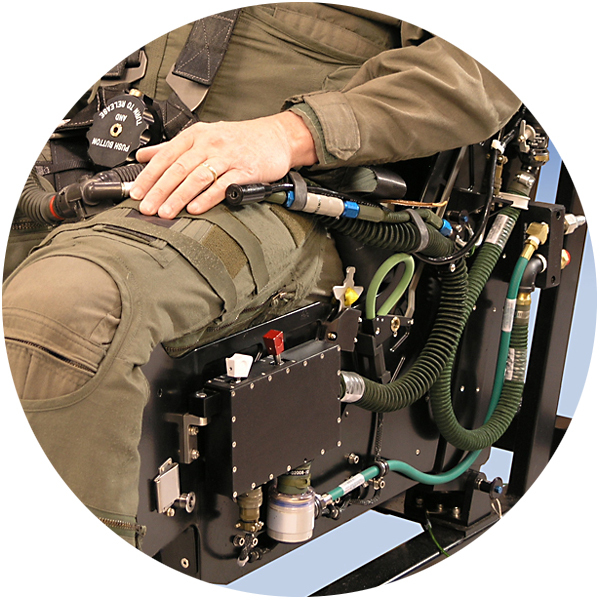 The motion seat mates to our G-suit inflation system for exceptional G-cues. It’s complete motion cueing for training. 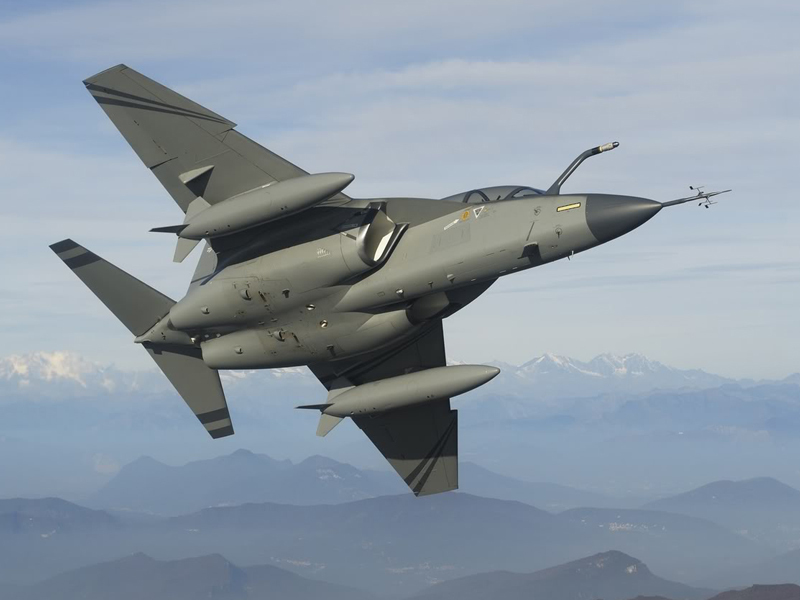 The Alenia Aermacchi M-346 Master is a military transonic trainer aircraft. Based on the Yak-130, the M-346 was a joint venture between Yakovlev and Aermacchi. The M-346 is designed for training combat pilots for front line fighter aircraft. It is capable of transonic flight without using an afterburner, which is designed to reduce acquisition and operating costs. 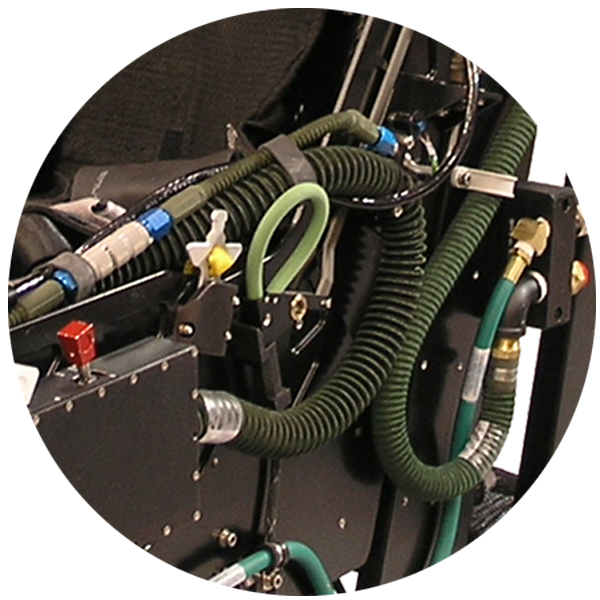 Two engines and triple-quadruple redundant systems enhance reliability. 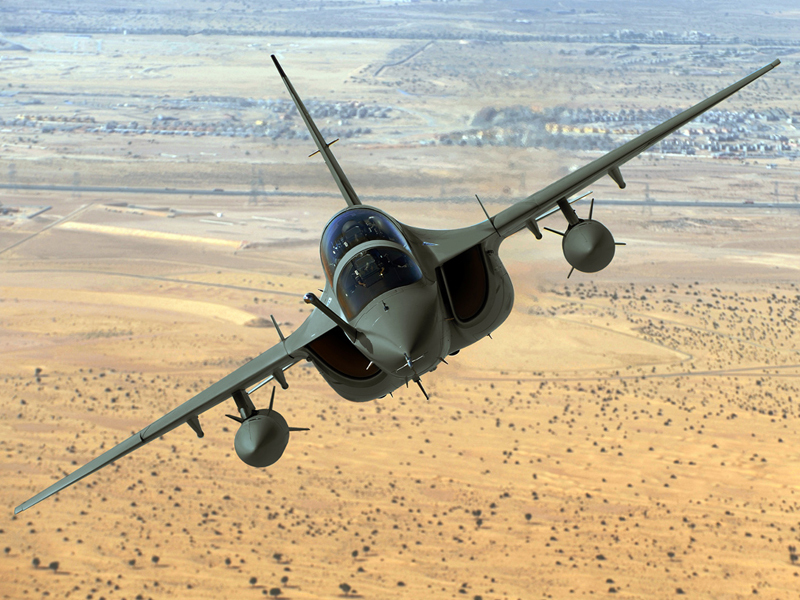 The aerodynamic design of the M-346 uses vortex lift to provide maneuverability and controllability at very high angle of attack (up to 40° degrees) using a fly-by-wire control system. The aircraft is powered by two Honeywell F124 engines, and uses a digital flight control system by Teleavio/Marconi in collaboration with BAE Systems, Dowty and Microtecnica for actuators. 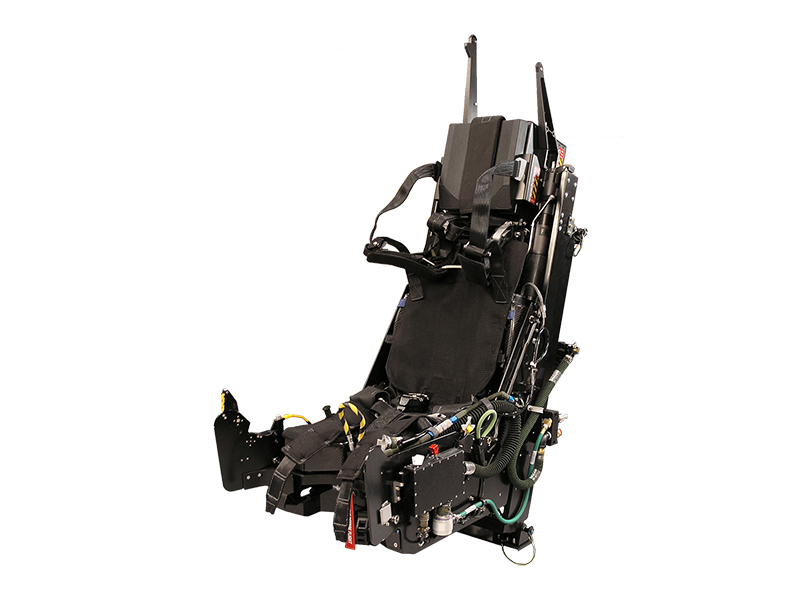 The new IBC (Industrial Baseline Configuration) prototype includes a new air brake just behind the cockpit, similar to the Sukhoi Su-30, new landing gear and some structural changes, with the use of more titanium and composite parts in order to reduce weight and production costs. As a result, the prototype weighs 780 kg less than the existing model, providing faster acceleration and climbing, increased maneuverability and max speed, as well as improved fuel capacity (200 kg) and cockpit visibility. 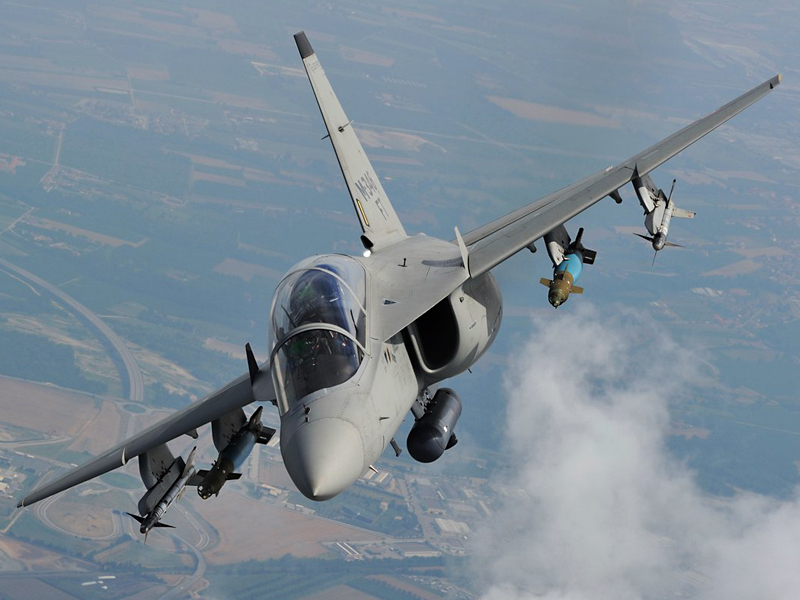 On 20 June 2011, a Military Type Certification was granted to Alenia Aermacchi for the M-346 Master by the General Directorate for Aeronautical Armaments of the Italian Ministry of Defense in Rome. 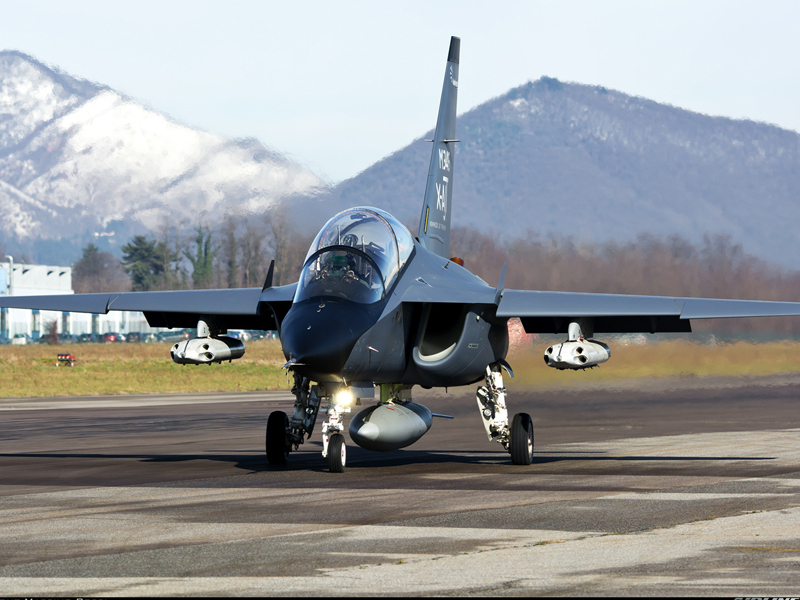 In order to complete the certification process, the M-346 development aircraft made 180 test flights, totaling 200 flights, over the previous five months and completed over 3,300 test points.